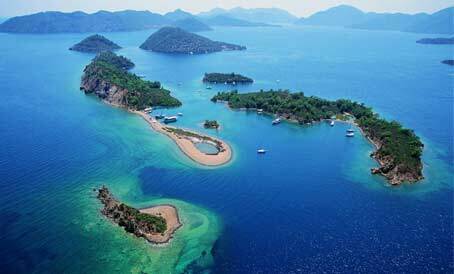 A Yacht Charter Marmaris... your perfect vacation. 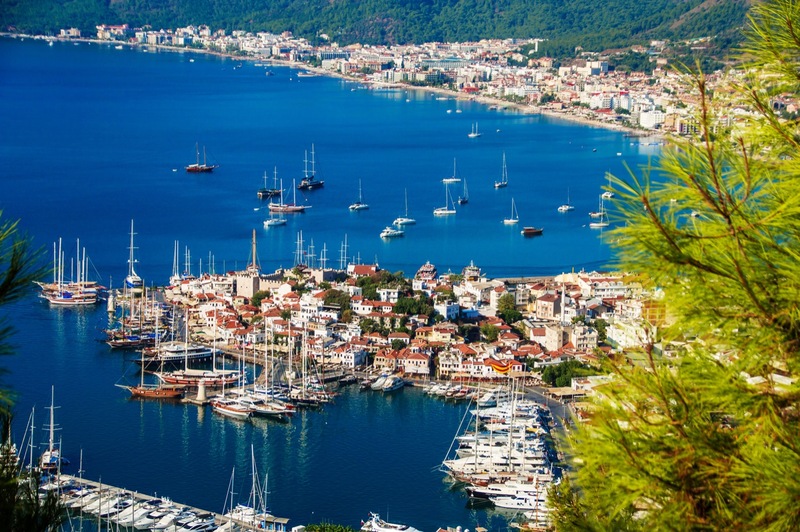 A Yacht Charter Marmaris - What to visit in Marmaris Area? A port town in SW Turkey on the Mediterranean coast and a tourist resort situated between two sets of mountains by the sea. A centre for sailing and diving, with two major and several smaller marinas in the area. A very popular yachting destination and wintering location for cruisers, known for good restaurants. A small coastal town in SW Turkey, situated on the Bozburun Peninsula. Known for its natural beauties and the exceptional flora. Its small, yet lovely harbor is one of the key stops on the popular nautical tourism route of the Blue Cruise and there are a lot of wonderful coves in the area. Also well known for its expert construction gulets. A high-class sailing destination with six significant marinas that serve the yacht tourism in the area. The nearby 12 islands, with clean sea, green pine forests, daily boat tours, entertainment facilities and numerous sandy beaches and coves make it popular with yachtmen, together with its numerous restaurants, cafés, and bars. Awesome interior design, contemporary amenities and excellent crew make this luxurious gulet the top choice. Elegant, fast and comfortable high-class sailboat with spacious cockpit area and luxurious and stylish interior. Luxurious, elegant and exclusive cruiser with modern interior and deck plan - pure pleasure to sail on. You will feel like royalty. After giving the perfect location for your sailing holiday extensive thought, the beautiful Marmaris in Turkey made it to your top-five list. You chose the location and now you want to know more about yacht charter in the Marmaris region. We have some answers for you. When chartering any yacht, think about the size of your party first. You need to make sure everyone is comfortable and has enough privacy, so you need a yacht with an adequate number of cabins or berths. For parties larger than 12 people, charter a gulet which will provide you not only enough space, but also a unique experience of sailing in Turkey. Marmaris, as well as the rest of Turkey, is the best destination for chartering gulets, as they are traditional Turkish boats. Marmaris is one of the world's best sailing locations and an interesting seaside resort with beautiful coves and beaches. 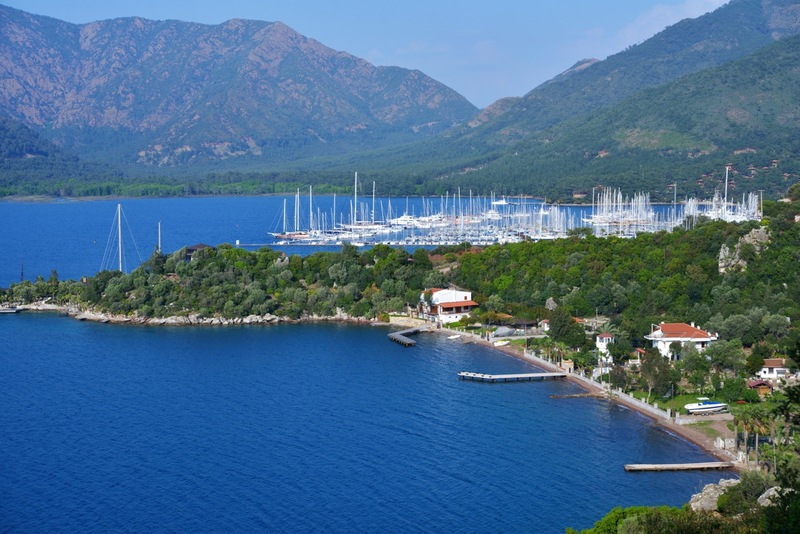 The Marmaris yacht base is one of the top five yacht charter bases in Turkey and from there you can sail off to the rest of the remarkable Turkish coastline on board a charter yacht of your choice. You can do the sailing yourself on a bareboat charter yacht or let an experienced skipper do all the work by chartering a skippered yacht. Go on a cruise around the Bay of Marmaris and visit Cennet Adasi (Paradise Island). The climate in Marmaris is very mild in winter and very hot in July and August - temperatures can reach up to 42 °C. It almost never rains between May and October. The prevailing wind blows from the west, so the north-west side of the Marmaris Bay provides the most comfortable spot for anchoring your yacht. There are several marinas to choose from: the Albatross Yacht Marina, Karacasogut Jetty, Marmaris Netsel (Setur) Marina, Marmaris Yacht Marina and Marti Marina ve Yat Isletmeciligi A.S. The nearest regional airport is Dalaman, about 100 km away from Marmaris. Transfers are easily arranged online and the bus connections are frequent. For more information on different types of yacht for charter, visit our specialized pages we have prepared just for you. Power Boats Charter offers details on chartering a motor yacht and Sailing Catamaran Yachts provides advice on how and where to charter a catamaran yacht. Check out Gulet Cruise Selection for more details on gulet cruises, features and cuisine aboard this traditional type of yacht. 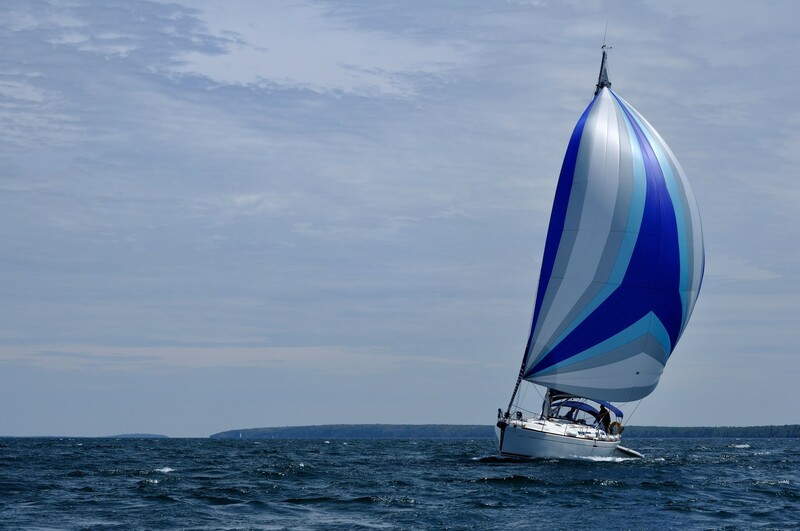 If you are interested in chartering a yacht in another amazing top spot, check out our page Sailing Croatia Boats and find out all about Croatia yacht charters. 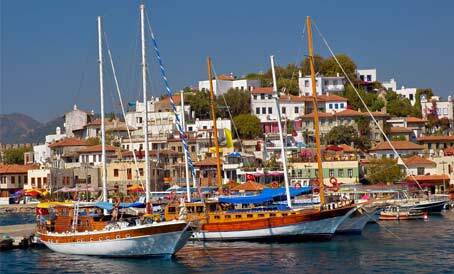 A Yacht Charter Marmaris is a proud member of a leading SailingEurope Yacht Charter Group.